Everyone in South Florida knows one thing to be true: we live where others vacation. TripAdvisor’s latest roundup of the United States’ top beaches featured not one but five beautiful Florida beaches, making our state one of the most coveted vacation spots on the map. We feel lucky to live in such a gorgeous and culture region with some of the most beautiful natural beaches in the country. Get your beach bags ready for these five hot spots around the state. 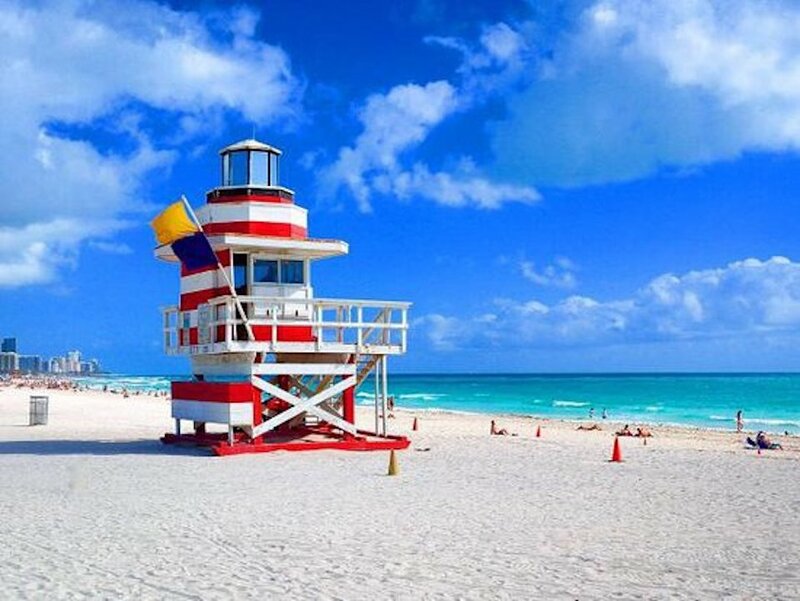 To no one’s surprise, Miami Beach claimed one of the top spots on TripAdvisor’s list of beaches to visit. Miami Beach is a gem that’s no secret to the rest of the world. Our beautiful city received millions of visitors each you, gathering 8.6 million tourists in 2016! The city’s crystal blue waters are adjacent to a traveler’s playground of vibrant music, rich Latin culture, stunning architecture and an elaborate nightlife. The classic Art Deco buildings makes Miami Beach as romantic as the early 1900s, making it the perfect date destination. 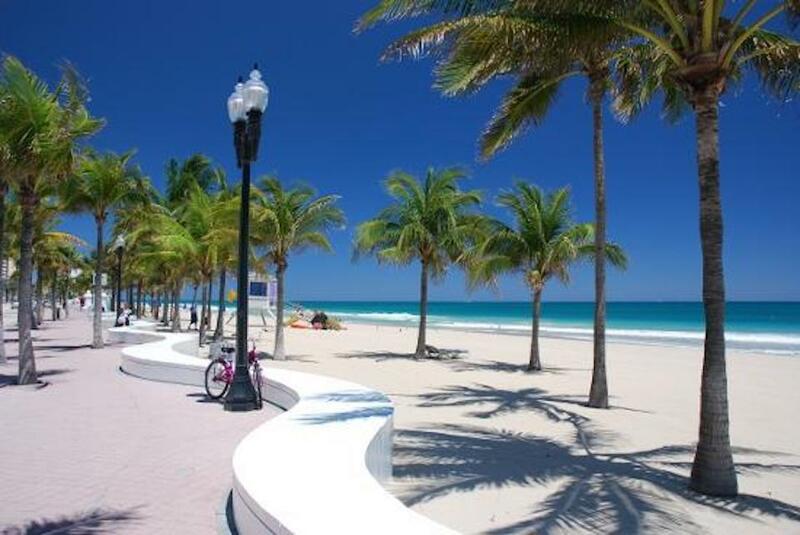 Just a short drive from Miami, Fort Lauderdale offers a different kind of experience and ambiance for beach goers. From luxe properties along the beachfront to the lively Las Olas Boulevard dining scene, Fort Lauderdale Beach has enough happenings to marvel at. Grab your beach cruiser and your bestie for a fun ride with unparalleled views. One of Florida’s most popular beaches, Clearwater makes a perfect overnight trip for South Florida locals. 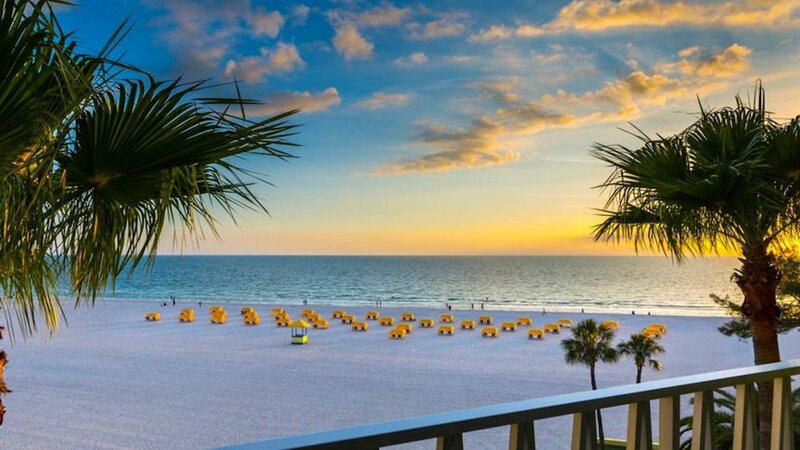 Clearwater’s dazzling beach is a slice of paradise on Florida’s shore. Offering an inviting, small-town vibe that differs from Miami. Clearwater Beach is an ideal destination for a family outing. Be sure to stop by the Clearwater Marine Aquarium to see Winter the Dolphin, a dolphin known for his role in “Dolphin Tale” who swims with a prosthetic tail. While you’re in town, you can even make the 90-minute drive to Disney World! 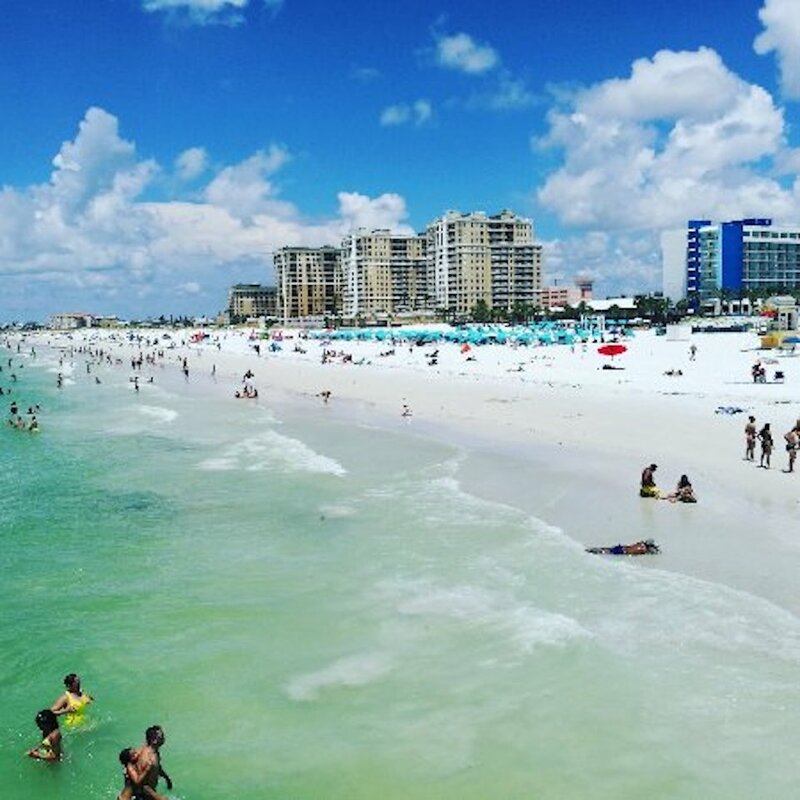 It’s hard not to fall in love with the white sandy coast, made of 99 percent quartz, when you visit Siesta Beach. 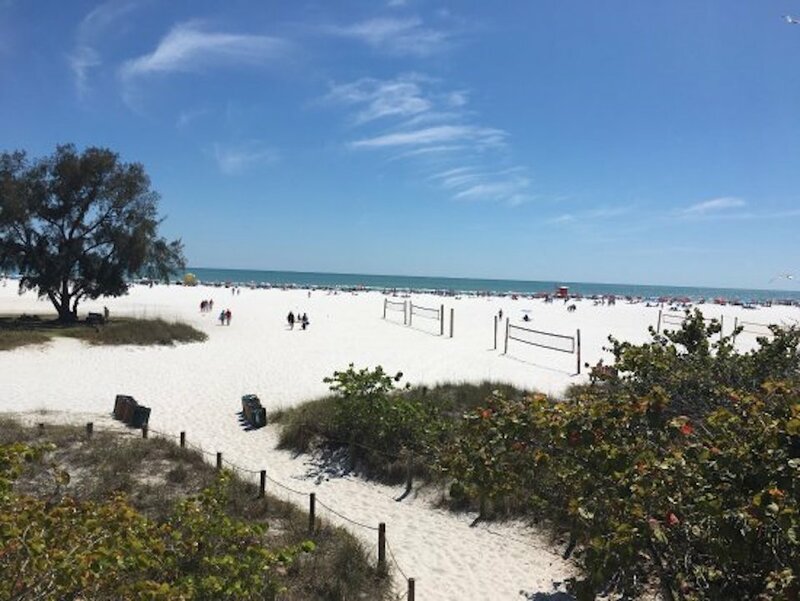 One of Siesta Key’s mesmerizing beaches, Siesta Beach is made famous by its sugar-fine sand and laid-back environment. Park yourself under a colorful umbrella or be adventurous by taking up a watersport like kayaking or parasailing. As soon as your feet hit the waters of St. Pete Beach, you’ll know why millions of visitors travel to the destination each year. Lined with Old Florida inns and tradition, the beach town is a picture-perfect look at what makes our state so special. Windsurfing, kiteboarding and paddleboarding will keep your adrenaline high. Reward your bravery and inner water athlete with a shopping trip on Corey Avenue, a distinctive strip of quirky specialty shops and galleries. With five magnificent destinations, cerulean waters, and clear skies, Florida tops everyone’s bucket list of places to see. Isn’t it splendid to call it home?